Being mum and main caregiver to a one year old means I have a lot less time to experiment with new recipes and flavours these days. In the past year, the only time I can do anything productive is when my son naps. So when nap time is short and unpredictable (as they always are! ), I turn to my tried-and-tested favourite recipes, such as the perfect chocolate chip cookie, fruit and nut granola and hummingbird cupcakes. Enough self-encouragement. Now on to brownies. I have never tasted or heard of the unlikely combination of olive oil in brownies. Olive oil in pasta… legit. 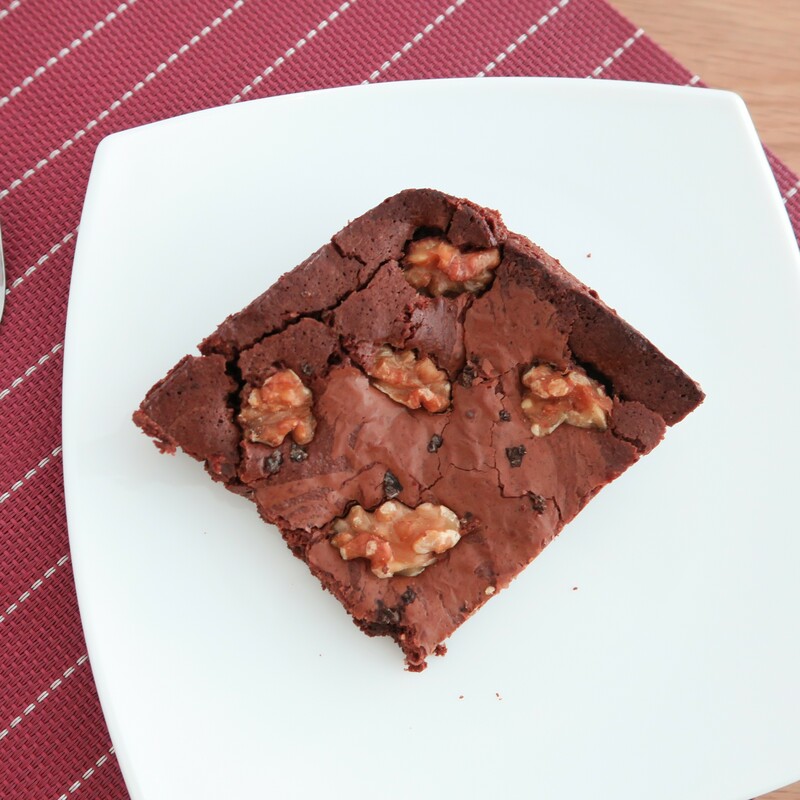 Olive oil in brownies… will the unique and strong flavour of the oil overwhelm this sweet treat? I am happy to report – not at all! In fact, these brownies are gooey, chewy and chocolatey. 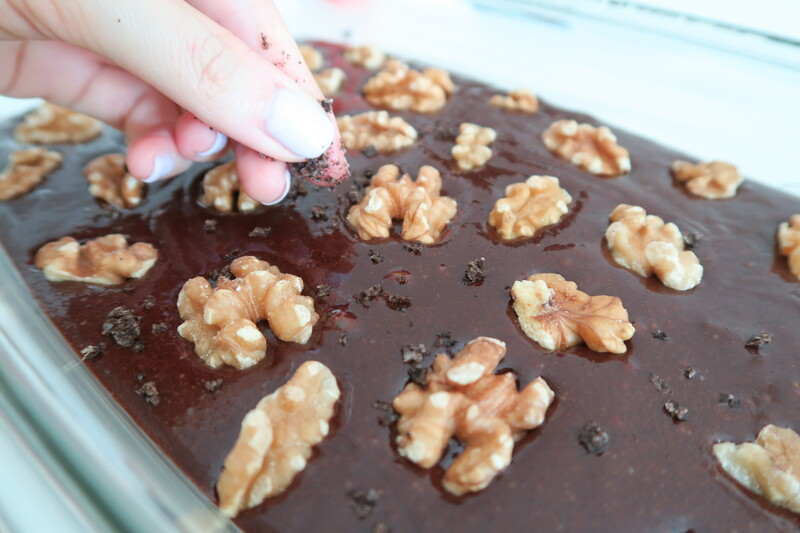 Every bit of what a good brownie should be like. And the best part is, they are pretty quick to whip up. I would know – I put this together, popped it in the oven, washed the dishes, took them outta the oven and even had time for a quick shower. All before my son woke from his nap. 1. Preheat the oven to 350 degrees F. Line a 8×8 inch pan with parchment paper or grease baking dish with some olive oil. 2. In a medium bowl set over a pot of simmering water, warm the olive oil and bittersweet chocolate together over low heat, stirring until the chocolate is completely melted and smooth. 3. Remove from the heat and stir in the sugar and vanilla, then beat the eggs in one at a time. 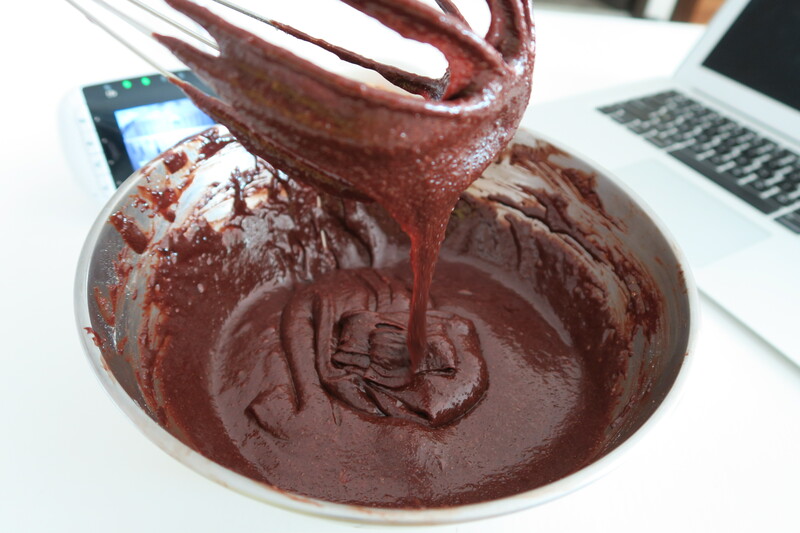 Stir/whisk vigorously until the batter becomes smooth and shiny and most of the sugar has dissolved. Getting the mixture smooth and shiny takes some time and muscles. Treat it as a bicep workout and persevere! 4. Fold in the sifted flour, baking powder, sea salt and walnuts. At this point the baby began to stir… but it turned out to be a false alarm. Phew! . 5. 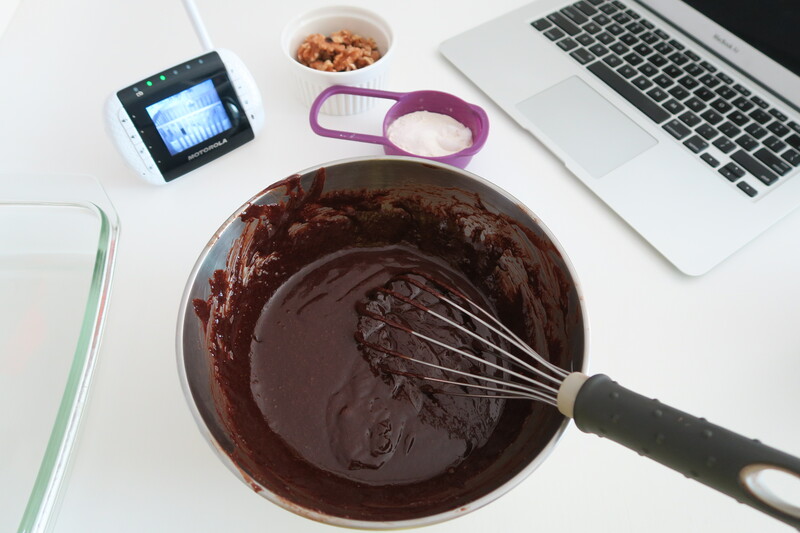 Scrape the batter into the prepared brownie pan and sprinkle some coarse sea salt evenly on top of the batter. Place in the oven and bake for approximately 25-30 minutes. 6. Remove from oven and let cool completely before serving with a dollop of whipped cream or a scoop of ice-cream! 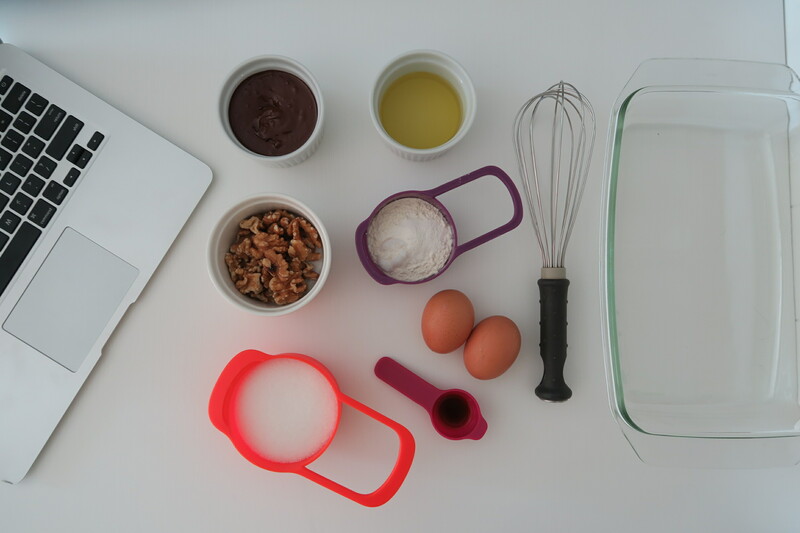 Tags: bake, baking, brownie, chocolate, dessert, easy, fait maison, faitmaisonblog, fast, how to, ice cream, magdalene see, olive oil, quick, recipe, sea salt, simple, walnut. Bookmark the permalink. These looked so good…they’re in my oven right now!